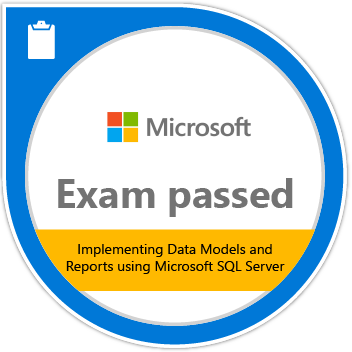 Passing Exam 466: Implementing Data Models and Reports with Microsoft SQL Server validates the skills and knowledge necessary for business intelligence (BI) developers to create BI solutions. Candidates demonstrate the ability to build an analysis services multidimensional database as well as a report with SQL Server Reporting Services. Earners are also able to build a tabular data model and troubleshoot the SSRS database.